The forum lacks player baddies and those it does have aren't very active or stick mostly to their own personal plot without actually antagonizing other players on any regular basis. We've tried to incentivise players turning bad in the past by handing out DMVs to those who pledged to turn evil. However, that ended poorly. 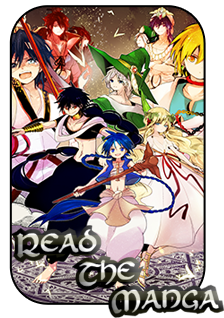 Every story needs a good antagonist, and while the plot mods here at Magi World work hard to provide engaging plot experiences for as many players as possible, there are limits to what only a few people can do by themselves. That is where this system comes into play. 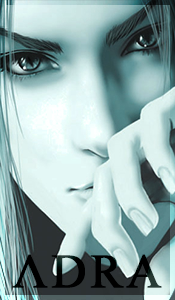 Players can sign up here[Add a link to a sign up page] in order to be added to a list of potential Antagonist Rpers. Other players can then request an Antagonist at the Plot Creation board. Antagonists may then respond to discuss the role they are to play and any limitations or guidelines to the plot. -The first post of all threads where you are playing an antagonist must have an OOC note clearly stating that you are rping as an Antagonist NPC. -As an antagonist you may end up controlling an NPC far stronger than the player requesting the plot. You may not abuse this power to kill any player characters or important NPCs, though wounding them is fine. -You may not use an antagonist NPC to ruin someone's plot. If the player you are rping for is unhappy with your post, they have the right to ask for an edit and you will be expected to comply. -Antagonists with a grade of 2 or below must wait 1 week IRL before performing another antagonist thread. Antagonists who score 2 or less three times in a row will be banned from antagonist work. After an antagonist thread is completed, the player who requested the antagonist must fill out an Antagonist Grading Form. [b]Antagonist:[/b] Name of player who controlled your antagonist. [b]Grade:[/b] Add 1 for each "Yes" in the above fields for a total maximum of 5 points. -Each antagonist post will be done with your personal accounts. Meaning every post you make as an antagonist will be earning your normal character exp. -Job equivalent rewards may be given to any of your personal characters. The above is a rough draft I literally just sat down and wrote out in the last 15mins. It could use a lot more thought and TLC put into it to refine the rules, make the grading process better, and make the rewards more appealing. PLEASE, DO NOT USE THIS EXACT TEXT. I wrote it and even I think it's unpolished and kind of lame. But it should serve well as a proof of concept to help make the idea itself clear. As it is now, yeah it needs a little work. A pair of players could abuse this system in order to keep giving each other's grades of 5 over and over again for the reward. Granted, that would end up being obvious so that isn't the my main nitpick with this set up. The stuff in red either needs to be replaced or worded such that players requesting antagonists both don't hurt someone's feelings with "no" or feel obligated to say "yes", know what I mean? If you put "no" for a question like that, someone might feel butthurt and start an argument. Even if the antagonist posts were of poor quality and the experience was only "enjoyable enough", you might feel obligated to put "yes" because everything worked out anyway. I think the stuff not in red is fine as is, more or less. We need some form of creating some conflict on the site. It's not happening organically. With Zadi's comment, yeah, it's always better to avoid criticizing other people as much as possible. But also, there has to be a limit to it. We can't all just walk on eggshells to avoid offending each other. Criticism is fine, so long as you inform someone what they did wrong and how they could have improved or done better. That's what's called constructive criticism, which is where Yaku's form falls short. Instead of just "Yes" or "No", the form should require the person grading to explain why for each. If the answer was "No" then obviously the grader must explain why they think the "antagonist" did 'poorly' and then explain how they could better improve in the future. @Adrastos Thanatos wrote: Criticism is fine, so long as you inform someone what they did wrong and how they could have improved or done better. That's what's called constructive criticism, which is where Yaku's form falls short. Instead of just "Yes" or "No", the form should require the person grading to explain why for each. If the answer was "No" then obviously the grader must explain why they think the "antagonist" did 'poorly' and then explain how they could better improve in the future. Zadi and Dylan both touched on this but Neo summed it up nicely so I'll quote her.